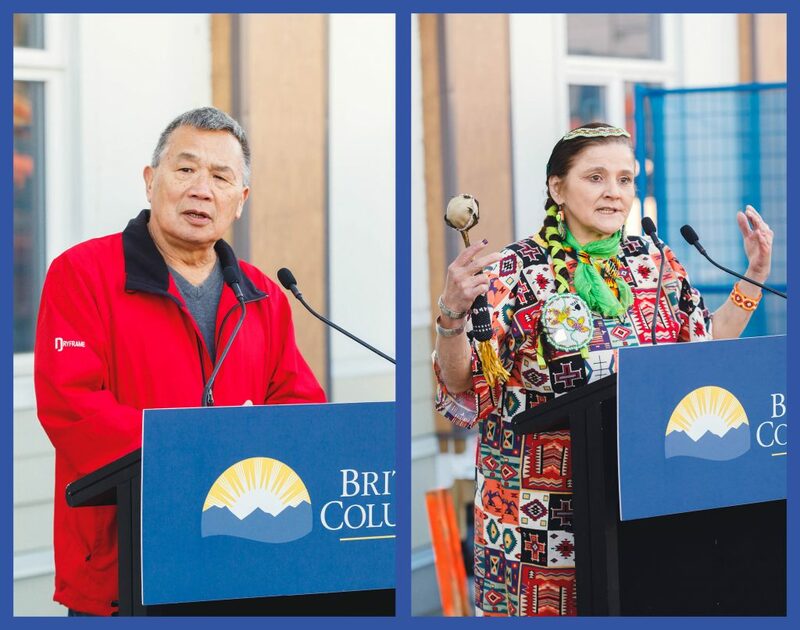 On Friday, March 29 we were part of the official opening event for the first of two modular housing projects in Chilliwack. It really does take a village to make changes and only by working together can we address crucial issues like addressing homelessness. In the photograph above, from left to right are: Bill Briscall, Communications & Fund Development, RainCity Housing; Rod Simpson, Manager of Yale Modular, RainCity Housing; Laura Caron, Director of Clinical Services, RainCity Housing; City of Chilliwack Coucillor Harv Westeringh; Honorable Selina Robinson, Minister for Municipal Affairs & Housing; Catharine Hume, Co-Executive Director, RainCity Housing; City of Chilliwack Councillor Jeff Shields; City Chilliwack Mayor Ken Popove; Phill Hall from the Sto:lo Nation; City of Chilliwack Councillor Sue Attrill; Robert Taylor, Assistant Manager of Yale Modular, RainCity Housing; Paula Potter, Indigenous Cultural Liaison, RainCity Housing; Allahyar Raza, BC Housing. All levels and types of government, people throughout the community sharing tasks and knowledge, all working towards a collective goal – ending homelessness. On the left is Phil Hall from the Sto:lo Nation welcoming us all, and on the right is Horse Woman (Paula Potter), RainCity’s Indigenous Cultural Liaison Worker that will work onsite in Chilliwack. What will happen on this site in Chilliwack? There is clearly a need for more affordable housing in Chilliwack. The modular housing will open in April 2019 and tenanting will begin towards the end of the month. Residents will be provided meals and have access to life and employment skills training, and receive health and wellness support services to assist them in overcoming health and other challenges in order to maintaining their housing. RainCity’s responsibilities include property management, operations management, and tenant selection in collaboration with BC Housing and community partners. Once people move in, staff provide 24/7 on site support to tenants. 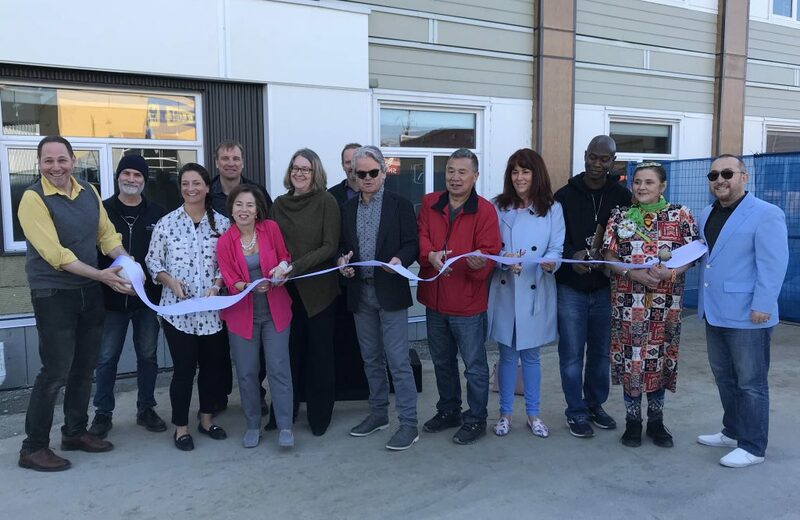 If you are a community member – either a business owner or residents – that lives and/or works near 45944 Yale Road, you may be interesting becoming a member of the Community Advisory Committee for this modular housing. The Community Advisory Committee (CAC) monitors progress and discusses issues and works towards constructive solutions to issues. It plays a key role in addressing concerns and helping to successfully integrate the building and its residents into the community. We look forward to working with all of our neighbours, partners and the 11 communities that make up the Sto:lo Nation.